Explore Longshaw Estate in a whole new way as you test your navigation skills and more. You will have 60 minutes to collect points by finding as many control markers as you can. Earn extra points at the challenge controls where activities will test your agility, dexterity, quick thinking and aim! You do not need any previous experience of orienteering but a base level of fitness is recommended to get round the course area. 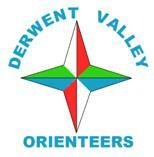 Coaches from Derwent Valley Orienteers will be on hand to give you some instruction before you set off. This event will take place on Saturday 20 February 2016 and is part of the National Trust Orienteering Challenge Series. Entrants must be aged 16 or over. Entry in advance is strongly recommended as there will be only a small number of maps reserved for those who enter on the day at a £1 surcharge. The early entry fees are £10 adult and £5 for juniors aged 16 to 20. Online entries will be accepted up to midnight on Monday 14th February 2016. There will also be a simple course of around 3 km. suitable for novices and the rest of the family, entry on the day only, £3 adults, £1.50 juniors (any age) with start times from 10:30 to 11:30. Registration will be in the Moorlands Discovery Centre adjacent to the car park. The NT Café and toilets are nearby. Registration for the NT Challenge event will open at 10.00am and close at 10.45pm. Sportident electronic timing is to be used and the timing chip ("dibber") will be issued at registration. Coaches from the orienteering club will be available to provide advice and answer questions. The event will have a mass start at 11am. The start location is a short distance from registration. Competitors will walk to the start with the event officials and there will be a formal briefing at approximately 10.45am. There is a time limit of 60 minutes. 10 points will be awarded for each control visited. At the challenge controls, 10 points will be awarded on arrival and a further 20 points will be awarded if the challenge is completed successfully. Late arrival at the finish is penalised by deduction of 10 points for each minute or part of a minute over the time limit. Where competitors have the same total points score, the finish time is used to decide the result order. The finish is a short distance from download in the Discovery Centre. Please go to download straight away to obtain your result and return the Sportident timing chip. A large area of mixed woodland and semi-open heathland with some open grass areas. An extensive network of tracks and paths. The map is specifically designed for orienteering and has a scale of 1:10000 with contour lines at 5m intervals. Competitors take part at their own risk. Once you have registered it is a rule that you don't leave the event without reporting to a download official even if you retire. The estate will be busy with families and dog walkers. Please be observant at all times. The event organisers are Ruth Tweedie (National Trust), Val Johnson, Mike Godfree and Paul Addison (Derwent Valley Orienteers). Pre-event enquiries can be emailed to Mike.Godfree@btinternet.com. Orienteering is an exciting and challenging outdoor sport that exercises both mind and body. The aim is to navigate between control points marked on an orienteering map. The challenge is to complete each course leg in the quickest time by selecting the optimum route. A score orienteering course does not have a fixed sequence of controls that must be visited in order. At a score event competitors must visit as many controls as possible before returning to the finish within a specified time limit. Points are awarded for each control visited. At a challenge orienteering event there are activities at some of the control locations. Additional points are awarded if the challenge is completed successfully.